MSED is excited to announce the next in our Executive Luncheon Series. We invite you to join Steve Miller for a small group lunch and discussion. Don't miss out on this member-exclusive opportunity to share lunch with this automotive industry icon! Bring your questions - this luncheon is limited to the first 9 registrants. Robert S. “Steve” Miller is the President, Chief Executive Officer and Director of the Tier One automotive supplier International Automotive Components (IAC) Group, formed in 2006. Miller most recently served as Chairman of insurance giant AIG from 2010 to 2015. He is recognized for his broad operational expertise and brings years of automotive supplier and Original Equipment Manufacturer (OEM) experience to IAC, previously serving as a board member of Federal-Mogul Corp. from 1993 to 2005 and as interim CEO during a portion of that period. He served also as Chairman and CEO of Delphi Corp. from 2005 until 2006 and held the Executive Chairman position from January 2007 until Delphi’s Chapter 11 emergence in 2009. Miller began his automotive career in 1968 at Ford Motor Co. and after more than a decade there joined Chrysler Corp., where he worked for 13 years, eventually serving as Vice Chairman. While at Chrysler, all international automotive operations and non-automotive operations reported to him. Miller is on the Board of International Automotive Components Group, S.A. and International Automotive Components Group North America, LLC, IAC Group’s parent company. 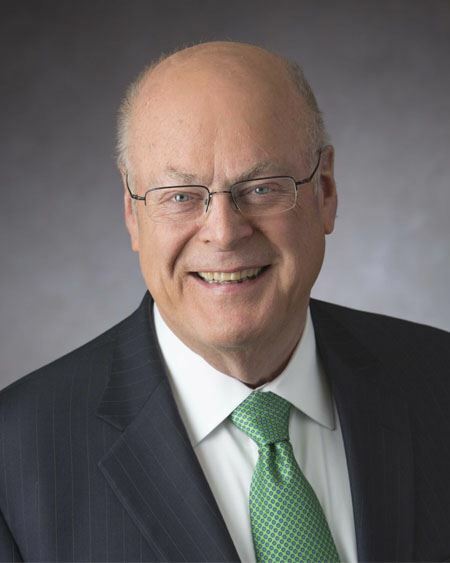 He has considerable executive leadership experience, serving as a member of Boards of Directors in a variety of industries, such as consumer products (Coleman, Reynolds American and Kendall Jackson), financial services (US Bancorp and American International Group) and industrials (United Airlines, Syntex, Pope & Talbot and Waste Management). He currently serves as a director of Dow Chemical; internet security software company Symantec Corp.; and global insurance conglomerate American International Group. He is also Chairman of private equity firm MidOcean Partners. MSED Event Cancellation Policy: Cancellations will be accepted until 5pm on Thursday, April 13, 2017. Cancellations received by this date will be refunded less a 10% administrative fee, with a minimum charge of $5. Refunds cannot be issued for cancellations received after this date; however, substitutions for another person to attend in your place are gladly accepted.